This is a story about maple syrup, a patriotic and delicious liquid that everyone loves. Let me take you to a distant, dystopian future, where most of Canada’s maple syrup reserves are locked away in big, gnarly old half-rotten trees. I know, it’s a horrible situation to contemplate. Now imagine: Just to get the syrup out, lumberjacks have to hack a big scar in the side of the trunk with their axes. Then the burly, flannel-clad men scrape out the sap, along with a bunch of wood chips and grubs and bark. They boil it and strain it and boil it down, and eventually what goes in the bottle is a dark, thick, sticky substance, scarcely recognizable as maple syrup. People in Canada won’t even eat it. Most of the country imports Aunt Jemima’s instead. Luckily, American waffle-eaters don’t know the difference. They drained their maple trees long ago and have been trying to use stuff like corn syrup, out of pure desperation. They’re grateful for our genuine Canadian maple syrup, and we’re proud to sell it to them. Then one day some ingenious American syrup entrepreneur drills a bunch of holes in the trunk of a local maple tree. The grizzled old syrup prospectors with their wooden buckets and hand-tapped spigots all laugh at her, because they know the tree has run out of sap. Then she stuffs dynamite in the holes and blows up the tree. Lo and behold, there’s sap a-raining down on the snow. Light, sweet, clear sap, easy to scoop up and boil down into top-quality syrup. Sure, the tree is in rough shape, but the amount of sap it releases is phenomenal. The dynamite method spreads and soon the syrup market in the USA is flooded. What happens to our Canadian syrup exports? Well, the price drops. Once American waffle-eaters taste the difference, they want the light, sweet, made-in-the-USA syrup. Not the dark, sour, Canadian syrup. Things look bad for the Canadian lumberjacks. They know if they can’t get at least $8 a can for their syrup, it’s not even worth their time to scrape out the sap. But who will pay those kinds of prices? The Emperor shouts “We’re a global syrup superpower! If you dare suggest otherwise, I’ll throw you in the dungeon with the other traitors.” His advisors slink out of the throne room. “Well, I guess we’d better build that pipeline,” one says, kicking the snow on the palace lawn. Earthquakes Versus Pipelines: Are we ready for an oil spill in the Fraser River? B.C. Premier Christy Clark has made it a condition of her support for heavy oil exports that project proponents and federal agencies ensure “world-leading” marine and land-based spill prevention, response and recovery. What would those systems look like in an active earthquake zone? A new seismology study published Monday carries direct implications for pipeline construction in British Columbia’s Lower Mainland. Twenty years after a serious oil spill blackened the Santa Clara River in California, the report invites reflection on what “world-leading” protection would cost along the Fraser River, and what it could require of engineers. On Jan. 17, 1994, the Northridge earthquake struck the San Fernando Valley in southern California. The shaking began at 4:31 in the morning. Freeways and apartment buildings collapsed, killing 57 people and injuring thousands. Buried out of sight, an old pipeline operated by the Atlantic Richfield Company tore apart at the seams. Welds failed at nine different points along a 56km stretch, including at a pumping station on the banks of the Santa Clara. Coast Guard commander Thomas Leveille reports what happened next: “The oil flowed across the parking lot, into a storm drain, then into a drainage ditch to the Santa Clara River.” In total, 190,000 gallons poured into the wide, shallow waterway, which was running that night at about gumboot depth. ARCO workers discovered the spill at 5:35 AM, alerting government officials two hours later. As ambulances raced to help victims of the earthquake, cleanup crews scrambled downriver to stop the flow of oil. 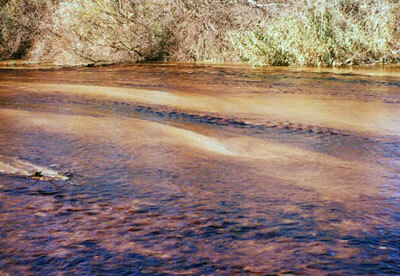 Oil from the ruptured ARCO pipeline swept down 25km of the Santa Clara river. What’s a “Fair Price” for Canada’s Oil? And What Happens if We Get it? It’s a phrase that has wafted up from the oil sands to the airwaves. It pops up in speeches by politicians and editorials by journalists: A “fair price” for Canadian oil. The key to this, we are told, is pipeline access to “tidewater” (another marketing term adopted by media and government). The basic argument goes like this: A barrel of oil sands crude currently trades at a lower price than other global oil benchmarks. That price gap means Canadians are losing money on every barrel sold. Access to world markets will fetch higher prices, elevating our collective prosperity. It’s a persuasive story, tickling the part of the brain associated with loss aversion. No one wants to bleed money day after day. At the same time it paints a picture of one nation, our fortunes rising and falling in unity. It’s good politics. But the reality is more complex. As individuals and businesses calculate whether the risks of these pipelines outweigh the rewards, three broad trends should be kept in mind. First, what kinds of energy do those global markets want? Second, who can get it there at the lowest price? And most importantly, who wins and who loses if the price of Canadian oil climbs? The answers point to 2014 as a crucial year in the pipeline battle. That’s because the window in which these projects are viable may be closing faster than we think. Our premier capped off 2013 — the most impressive year of her political career — with a trade mission to Asia, where she hopes to sell fracked-in-B.C. natural gas. Speaking in Tokyo on December 2, Clark offered a startling glimpse into her vision for our province’s economy. It could be that Clark was simply telling some overseas businessmen what they wanted to hear. Or perhaps her new messaging reflects her true economic beliefs. Either way, British Columbians are about to be offered a false choice. Amen, Premier. You’re absolutely right. Please continue. Well, okay. Bear in mind, the post-war boom was a different era. The global population only cracked 3 billion in 1960. That year, Canada’s GDP was $2,295 per person. Oil cost less than three dollars a barrel. Even adjusted for inflation, that’s less than a quarter what we pay now. With all that cheap energy, it’s not surprising the economy grew. Canada’s corporate income tax rate was also 50%. Again, a different era. That’s right. As we’ve burned all the easy, irreplaceable energy, costs have gone up. And because we’re still heavily dependent on fossil fuels, when oil prices spike — the economy slows down. You can’t build infinite economic growth on finite resources. That’s not philosophy, it’s physics. To start with, we could focus on four things: equality, efficiency, education, and energy security. By equality, I mean sharing wealth in ways that reduce the overall burden on social services. Efficiency means reducing the amount of energy we currently waste. Education means training and retaining more innovators and problem-solvers, so our province can stay competitive. And energy security, frankly, means leaving some of our fossil fuel wealth in the ground. What we do withdraw should primarily be used here at home — to power our transition to a sustainable, low-carbon economy. It’s blackmail, and it’s premised on three deeply problematic assumptions. The first assumption is that fossil fuels, including liquified natural gas, will be a fiscal bonanza for the province. The second is that energy exports lead to balanced government budgets, and funding for social services. The third is that 6-8% economic growth, year after year, would be a good thing for British Columbia. To save her own political skin, Clark appears willing to sign our whole province to a Faustian deal. What she fails to realize is that the solutions whispered by energy lobbyists are in fact the source of the problems she now faces as Premier. There’s another option, and that’s to focus on the four E’s: equality, efficiency, education, and energy security. What’s more courageous — to do the same thing we’ve been doing for the last fifty years, or to ready our economy for the next fifty? That’s the real choice, the one faced right now by Christy Clark. I hope her bravery is real. Slaughtering turkeys, it turns out, can make you feel like a bit of a psychopath. That’s because to do it well requires that the animal cooperate. So here I am, humming a reassuring ditty, cradling a shivering 35-pound feathered dinosaur like a baby. Walking past the plucking machine, I shield his eyes with my free hand. Then I roll the bird upside down and lower him head-first into a steel cone strapped to a pine tree. I’m not. In fact, I don’t think it’s accurate to call me an “environmentalist”. But I am a citizen opposed to exporting bitumen by supertanker from the BC coast. And that makes a lot of people, including National Post columnist Kelly McParland, very upset. To be clear, it’s not the calculated use of war-on-terror language that bugs me. McParland is free to caricature the “environmental lobby” in whatever colourful terms he pleases. His job, after all, is to generate page views. That’s entertainment news. What bugs me is the deeper condescension toward British Columbians: the suggestion that citizens like me are idiots, incapable of calculating risk versus reward (see yesterday’s blog post). 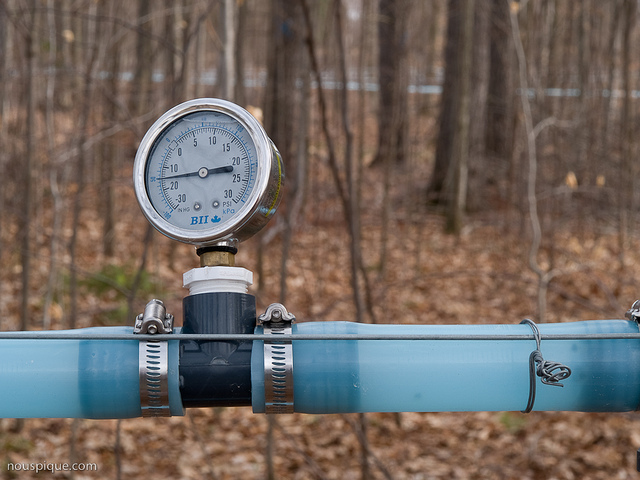 My opposition to this pipeline is not ideological, it’s utilitarian. The term “environmentalist” has come to describe someone who ranks the beauty of the natural world above the prosperity of human beings. But to me, those things are on the same level. Two sides of the same coin. Inseparable and interdependent. Let’s get something straight. BC is not a “pristine wilderness”. Nature is not a temple to go to worship. My love for this place is not aesthetic. These are working landscapes. They’ve been managed and regulated for human benefit since time before memory. As the JRP heard many times, the archeological record of that use goes back 10,000 years. My own family has been here since 1905, harvesting and extracting this province’s resources. Asataro Yoshida worked as a salmon fisherman for canneries in Rivers Inlet, at Namu, on the Nass. Kumazo Nagata grew a greenhouse empire on the shores of Active Pass. Reginald Trice was a boatbuilder. Walter Priest met my great-grandma Margaret at Seabird Island while he was working at a sawmill. In fact, all four generations have at different times been employed by forestry — my grandpa as a logger and sawmill operator, my dad as a surveyor, me for a reforestation company. Here’s the thing about trees: they grow back. If you manage the forests properly, they will give and give forever. In fact, you can split a usable piece of lumber off a big cedar without even killing the tree. Fish come back too, if you give them a chance. We had a record run of Pinks this year, all up and down the coast. I was in one river system this summer, half an hour from Vancouver, where you could have grabbed the jumpers with your bare hands. Chum came back to Still Creek in East Vancouver last year for the first time in 80 years. And just three weeks ago I got underwater video of Coho spawning between a construction site and the Lougheed highway. In June, a pod of orcas swam right into Burrard Inlet while tourists snapped pictures on their phones. Last fall a female grizzly bear migrated to the Pitt River valley, becoming only the third bear in the entire Garibaldi-Pitt management unit. If she has babies, they will be the first baby grizzlies born in the area since the province began keeping records. When I see orcas or grizzlies, my heart still pounds. Not just because they’re beautiful, awe-inspiring animals. I’m happy because I know there’s enough fish around to feed my friends and family too. They’re indicators of a healthy, productive ecosystem. A place where if you’re smart, you can live well forever. Of course I measure wealth in terms of real estate, savings and investments. But I also factor in my freezer, stuffed right now with venison, turkey, pork, salmon, and herring eggs. I include the crown land and all the learning it took to get that deer. 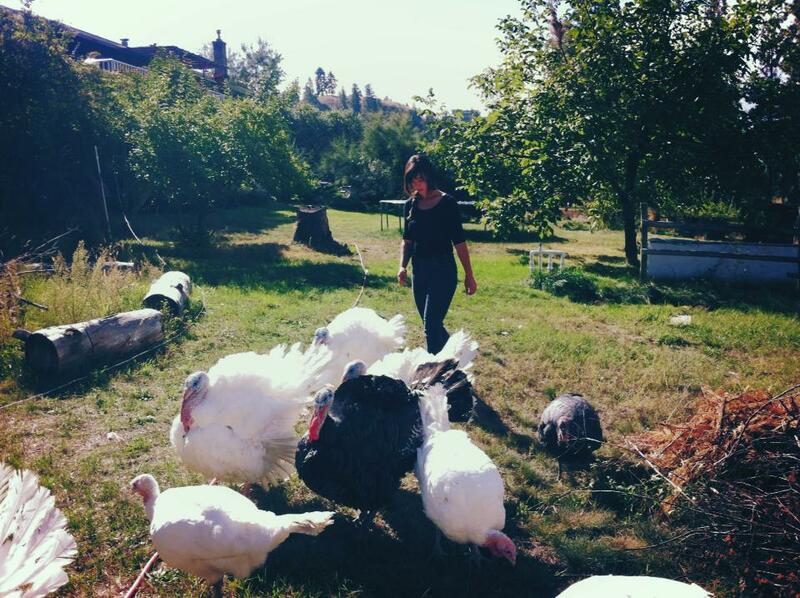 I include the relationship with my friend’s parents, who raised the turkeys. My cousin, who raised the pig. And my friends up the coast, who gave me the seafood as a gift. By those standards, I’m a wealthy and fortunate man. My family has been here for four generations, and we plan to be here for at least four more. I’d like my great-grandkids to have a better quality of life than I do, more fish to catch, and a deeper understanding of our connection to the place we live. That’s what a bitumen spill places at risk, 365 days a year, for the 40 years Enbridge plans to operate the pipeline. The oil and gas industry is different from what has driven prosperity until now in BC. Oil is a one-time thing. You dig it out, you burn it, and it never comes back. For the record, I’m not opposed to doing that. I have family and friends that work in the oil sands. I think Canada’s very lucky to have the resource. But it’s not going anywhere. I see no rush to sell it off by the tankerful to China, putting everything in between at risk. We still don’t know what happens when a million barrels of bitumen hit salt water — and you know, I’d rather not find out. Does that make me a jihadist? If anyone’s on a crusade, it sounds like it’s Mr. McParland.